Who knew that Winchester, Va would be a prime location for grabbing a quick bite of Chinese Food? Jin Zhou Garden provides a quaint and relaxing atmosphere whether you want to eat in or just take out. 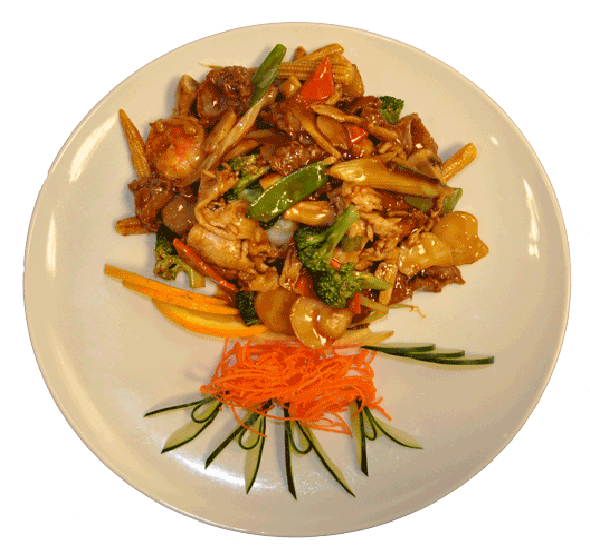 Jin Zhou Garden offers tastes from the owner's home town of Jin Zhou, China. Much time was spent gathering recipes from other Chefs as well as relatives to create a large smorgasbord of favorite Chinese foods. Come on in! Give us a try. Owner Yong Lin prepares a meal in the kitchen at Jin Zhou Garden Chinese Restaurant on Berryville Pike.